It all started with a bottle of nail polish. All summer I’ve been excited to pick up a bottle of Chanel’s Vernis nail lacquer in Peridot and this perfect color is ushering me into Fall. 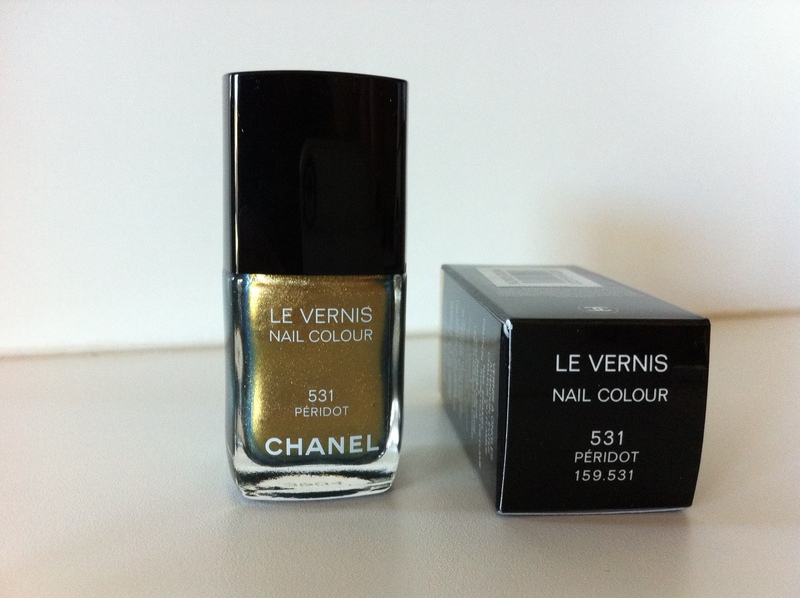 It has this iridescent property to it so in some light it looks gold and at other times it picks up blue tones. There’s something so beautiful about Fall/Winter jewel tones, and this season they’re coming back big, so I’ve been thinking about how to translate this look into everyday wear (the lacquer was step 1). I stumbled upon Tamu McPherson’s blog “All the Pretty Birds”, where she shot this beautiful look. Photo Credit: Tamu McPherson, "All the Pretty Birds"
It’s a fashion equivalent of a perfect storm. The beautiful red dress, those dazzling Gucci shoes and the impeccable accessories are just stunning. I love this look especially because it translates into an easy casual feel with a dash of luxe. I normally don’t fawn over fashion to the point I’d post about it, but Tamu’s street fashion blog is incredible, and she turned me into an instant fan! Loving the nail polish and that SICK handbag! 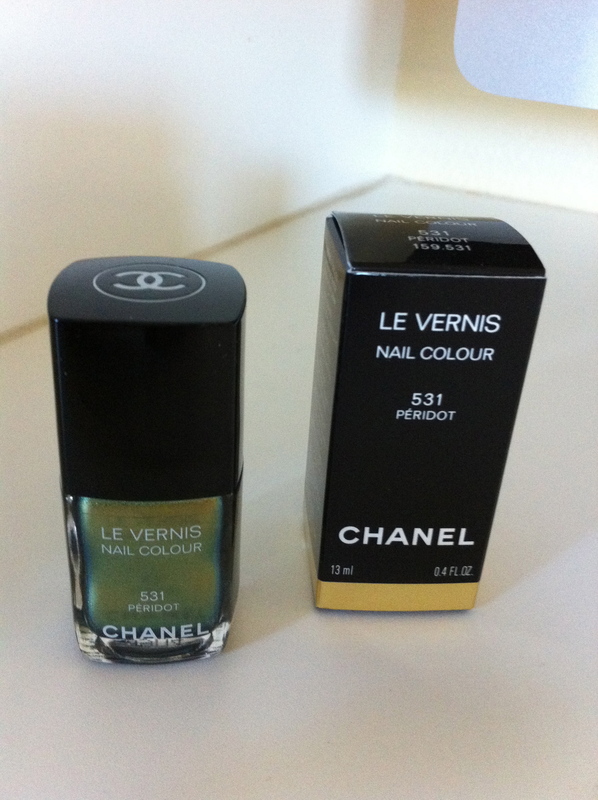 Janene, now my handbag obsession has a new rival… nail polish!! It’s getting ridic!